The results of one of the biggest surveys of China’s land ecosystems ever undertaken have just been published, a five-year mission that involved 350 scientists and cost US$35 million. The project was part of China’s efforts to increase understanding about climate change and the effect of carbon emissions and storage in terrestrial ecosystems, and how land restoration can aid in this goal. The results were published in April as a series of seven scientific articles titled “Climate Change, Policy, and Carbon Sequestration in China Special Feature” in international science journal Proceedings of the National Academy of Sciences (PNAS). Soils hold the largest carbon stocks in the Earth’s ecosystems, and sequestration simply means storage. They are also referred to as carbon sinks, and form a crucial part of the carbon cycle – a much longer process than the water cycle most of us know about. When carbon-based life forms die and decay, large amounts of the carbon they release are held in the Earth’s soil systems – although carbon is also stored in trees, vegetation, rocks and water. This means it is removed from the atmosphere, until it is released – for example during a forest fire. Carbon sequestration can come from a natural process, or it can be deliberate, through artificial processes developed to remove atmospheric emissions to help mitigate climate change. However, due to climate change and human disturbance, large amounts of soil carbon stored in natural ecosystems have been lost. Photosynthesis in leafy green plants also removes carbon dioxide from the atmosphere, so areas of forest and other natural environments are crucial in providing an economic and environmentally friendly method to offset carbon emissions. Enhancing understanding of ecosystems’ carbon sequestration capability is at the frontier of climate science, and an issue which is gathering much more interest as the planet seeks ways to remove harmful greenhouse gases from the atmosphere. As one of several national climate-change research programs, the Chinese government has funded CAS to implement a Strategic Priority Project on the Carbon Budget since 2011. Some 350 researchers from more than 30 different research institutes and universities participated in the project. 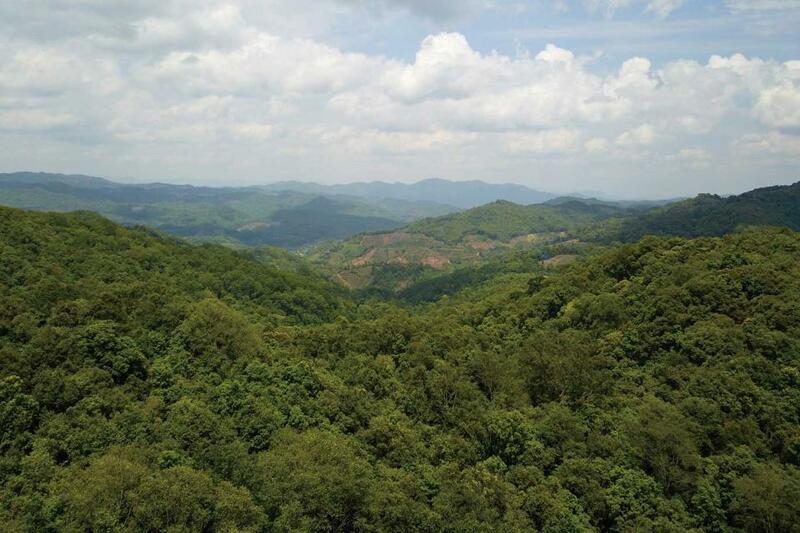 Investigating vegetation, soil systems and habitats, the project collected data from around 600,000 samples taken from over 17,000 plots throughout China’s four major terrestrial ecosystems – forests, grasslands, shrubland and cropland over a five-year period. The project, as described in the article, fills “fundamental data gaps” in the studies of vegetation productivity, carbon sequestration and biodiversity in China. China’s terrestrial ecosystems have always functioned as important carbon sinks, which can accumulate and store some carbon for an indefinite period. But because of limitations of sample size, inconsistent methodologies and diverse data sources, data from previous studies of carbon budgets in China have not been very accurate. 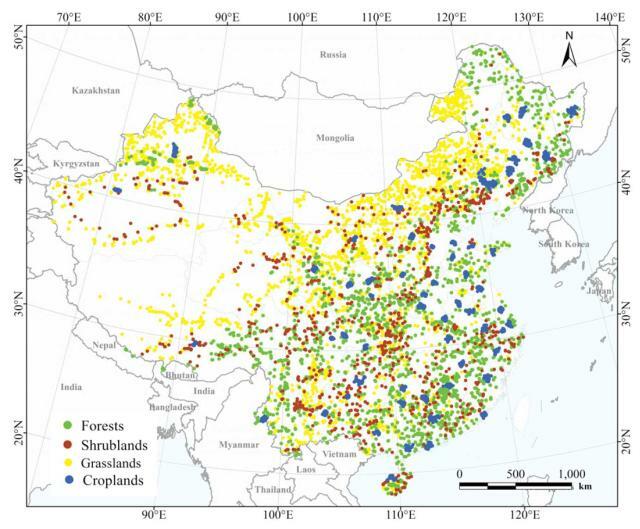 All sectors of carbon stocks in China’s forests, shrublands, grasslands and croplands were included in the study, except wetlands, deserts and urban area. The paper stated this was because of the “small area of wetlands and urban areas and low carbon stock/sequestration in deserts.” However, according a source from CAS who asked to be quoted anonymously, wetlands were not included because they are not yet categorized in the international carbon sink framework. Since the 1970s, many studies have proved the efficacy of large-scale ecological restoration projects in making significant improvements to an ecosystem’s ability to absorb carbon and slow climate warming on a national scale. China has launched six key ecological restoration projects in the past four decades in China’s forests, deserts and grasslands. Previous studies indicated a positive impact on the environment from individual projects, but there has not been an overall analysis of these six projects as a whole. These six projects together, according to the recent PNAS articles, cover 44.8 percent of China’s forests and 23.2 percent of China’s grasslands. Studies cited in the article stated that the ecological restoration projects have contributed an annual carbon sink “equivalent to 50–70% of the total annual sink from all major terrestrial ecosystems in China or 9.4% of China’s carbon emissions from fossil-fuel combustion.” Better agricultural management enhanced carbon sequestration by 20 million tons of carbon per year in the same decade. Yu Guirui from the Institute of Geographic Sciences and Natural Resources Research under CAS, also a lead scientist in the national carbon budget project, told China Science Daily that China’s ecological civilization construction has contributed to carbon stocking, along with its positive effects on restoring the environment. In international climate change negotiations, the right to produce emissions is related to both environmental protection and the developmental stage of a country. As vast as China is, and with such a diversity of ecological systems, the carbon project was a mammoth undertaking. Ding Zhongli, vice-president of the Chinese Academy of Sciences, who launched the carbon budget project, was quoted as saying in the April press release that it was both dedicated to serving the demands of China’s mission to mitigate climate change and the demands for China’s future participation in international climate negotiations. Professor Chapin told NewsChina that these studies are important because they document China’s role in the global carbon cycle.